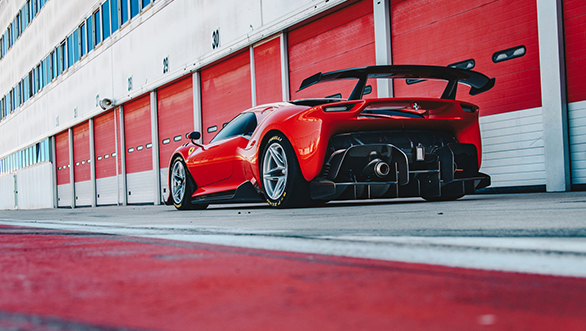 The Italian supercar maker took the wraps off their one-off Ferrari P80/C. 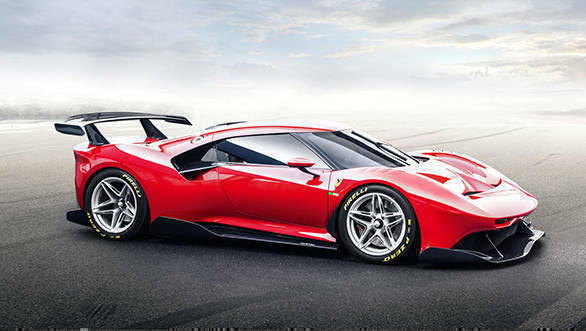 The supercar is based on the Ferrari 488 GT3 which is seen in FIA World Endurance Championships but the P80/C but has a 48.6mm longer wheelbase. The project of the P80/C began in 2015 and was finally handed over to TK (Instagram handle - mr_tk), the owner. 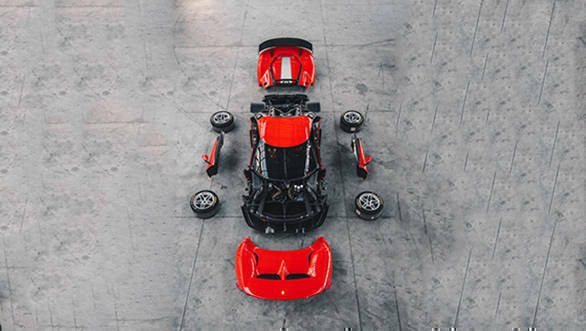 Since it is a 'Track-Only' supercar, people at Ferrari decided to drop the road-legal items such as headlamps, tail lamps and the P80/C is made entirely from carbon-fibre. The design of the P80/C is inspired by the Dino 206 S, 330 P3, 330 P4, and the Ferrari 250 LM.A. However, even with the design inspiration from the classics, the P80/C stands out on its own with distinctive styling elements such as the window line merging into the air vents. The rear wing is wide and shaped to offer enough downforce to a car that produces at least 669PS from a 3.9-litre V8. The P80/C is painted in Rosso Vero, to fit TK's taste. The rear end design is called the 'Catamaran' which essentially means that body panels are non-existent and the mechanism is fully visible with only a grille to dissipate the engine heat. The diffuser is mounted in a way to look afloat. In the cockpit - er! On the driver seat, all the controls are with the reach of the arm. The steering wheel design is F1 inspired and the car has a digital screen instead of a pod-type instrument cluster.